Mr Eazi’s strategy has been clear since the singer toured the world last year with Lagos to Accra, performing small to medium scale venues in Europe and America. His third project, ‘Life is Eazi Vol.2 – Lagos to London’ is celebration of his growth to global renown since his last project, ‘Lagos to Accra’. The Banku music singer has made his rounds around the globe, preaching his ‘Life is Eazi’ gospel through his world tour and international collaboration with artists like Major Lazer and Riton. ‘Life is Eazi Vol.2 – Lagos to London’ is a new chapter in Mr Eazi’s ‘Life is Eazi’ adventures, a linear continuation of the story that began in his last project. Lagos to Accra was built around his success in Ghana despite being Nigerian, life is still easy but a lot has happened in between, and this has already reflected in the new project’s marketing. Earlier today the singer posted the picture of a red London bus, branded black and yellow like Lagos Danfo, a YouTube sponsored ad for his new project. This is a strong signal of how Mr Eazi has taken advantage of the digital era for global music he has found himself since his SoundCloud days. ‘Lagos to London’ is a 13-track tape that takes listeners through Mr Eazi’s diverse sonic palette, fusing Afropop, highlife, Reggae, dancehall, disco-pop and even hip-hop. He pulls off this heterogeneous sound through a wide array of guest features from 2Baba, Burna Boy, Giggs, Mi Casa, Slim Case and others, as well as productions from the top beat makers Africa and Europe have to offer. With Simi’s songwriting credits, you can expect to hear traces of her romantic sentiments on the project. 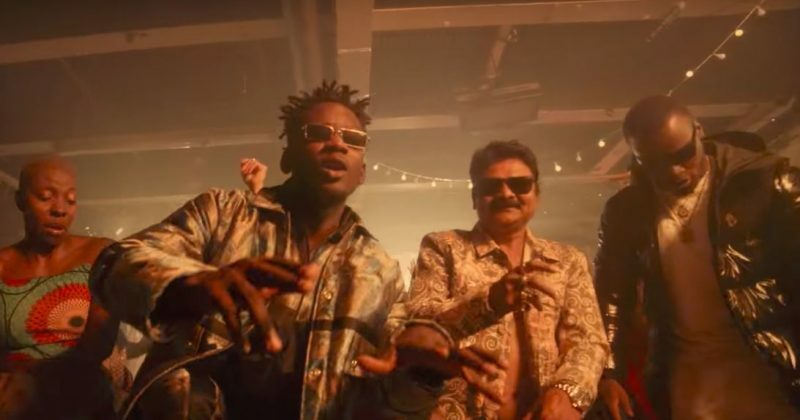 Though Mr Eazi already debuted the music videos of tracks from the project, he unveiled ‘Lagos to London’ with the music video for “Chicken Curry”. The video is set in London but also has some Indian influences portrayed through dancers and a cameo from internet sensation, Just Sul. Mornix directs the gleeful music video that ends in a playful dance-off between the Africans and Indians. You can watch the music video for “Chicken Curry” below.